12-Volt Power Accessory: Your cab is your office. That�s why Bobcat installed a 12-volt power accessory for charging your mobile phone, MP3 player or other accessories. Convenient Storage: New storage bins are located throughout the machine. Store items wherever it�s convenient! Deluxe Instrumentation Panel: This intelligent Bobcat option helps you prevent theft with keyless start and enables better operation by closely monitoring and interacting with your machine. A new 4.6-inch LED screen with full-color capability offers increased readability and interaction. Easy-to-read virtual sweep gauges allow you to quickly read and understand operation levels. Seven available languages and units in English or metric. Extra Elbow Room, Easier Cleaning: Windows are mounted on the outside of the Roll-Over Protection System (ROPS) � which provides extra elbow room in the cab, and makes window cleaning much faster. Heat: Automotive-style vents allow you to point the air where you need it for greater comfort in all weather conditions. Controls are conveniently located for easy adjustment. Large Entry/Exit: On machines with enclosed cabs, Bobcat provides a large swing open door to make it easier to enter and exit the cab. A lowered door threshold gives you increased visibility to your attachment and the surrounding work area � making it easier to see and do your work. More Room: Our stronger loader arms are spaced wider to make a wider cab possible, with up to 20% more interior space than competitors, keeping you comfortable. pressure seat engages the entire door on the front and sides, compressing the door seal into a specialized curved door pocket keeping dust and debris out of the cab and keeping warm air in the cab or cool air. Suspension Seat: Other comfort items include an optional fully adjustable suspension seat, adjusting easily to the operator�s weight. 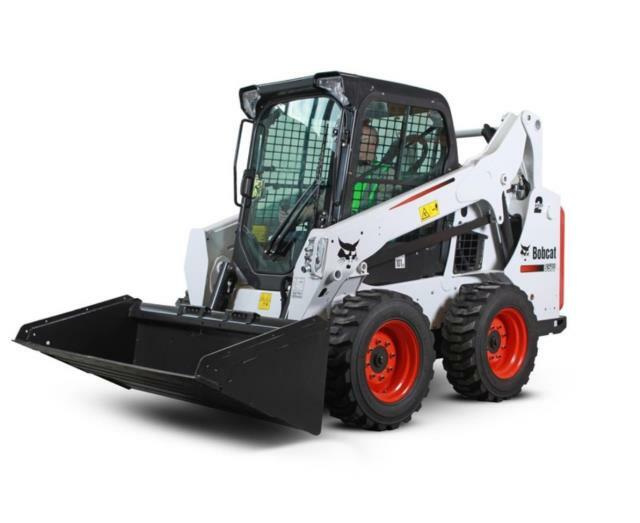 * Please call us for any questions on our bobcat s530 rentals in Whistler BC, serving Squamish, Pemberton and the Sea-to-Sky Corridor.